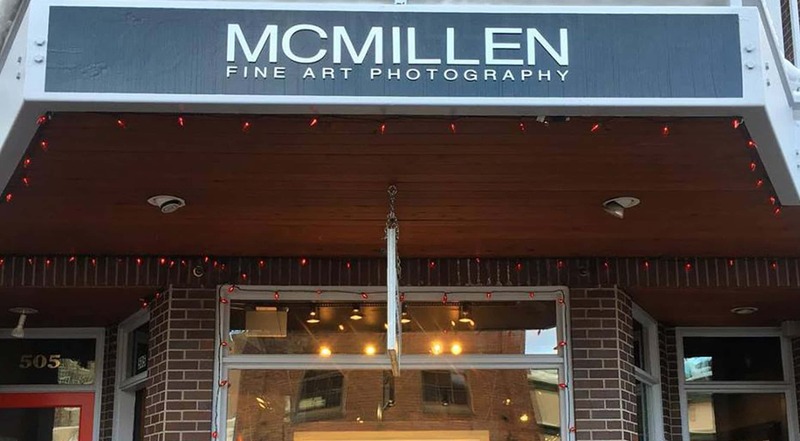 The images featured at the McMillen Fine Art Photography Gallery are not to be compared with the works of other digital photographers. All of the images included in the McMillen Fine Art Limited Edition Collections are photographs captured on film through the use of medium and large format cameras. In shooting film, they understand fully that precision, accuracy and extensive knowledge of the photographic art form, are their tools in creating their award winning imagery. They are well known for capturing images at f64 on their old school large format camera and panoramic format cameras and often times Park City locals will find them on the hillsides of this beautiful area. The McMillen's are also available for custom commissions for home or business interior decor. Their pieces make wonderful focal point and conversation pieces for any structure. In selecting their landscapes, the McMillen's will observe an area for up to six months at a time. During this time, they are watching for weather patterns that may create dramatic skies in addition to changes in the landscape itself as it evolves through the seasons. All are characters with a critical role in creating epic imagery. Once they have determined when to document a scene, they photograph only 3 to 4 images total on film in hopes of capturing that one magnificent landscape. However, the process does not end at image capture; the time period from image capture to new release, typically requires a minimum of four months for each of their creations. They take the words Fine Art Photography Gallery to heart when it comes to providing their collectors with true photographic artwork.